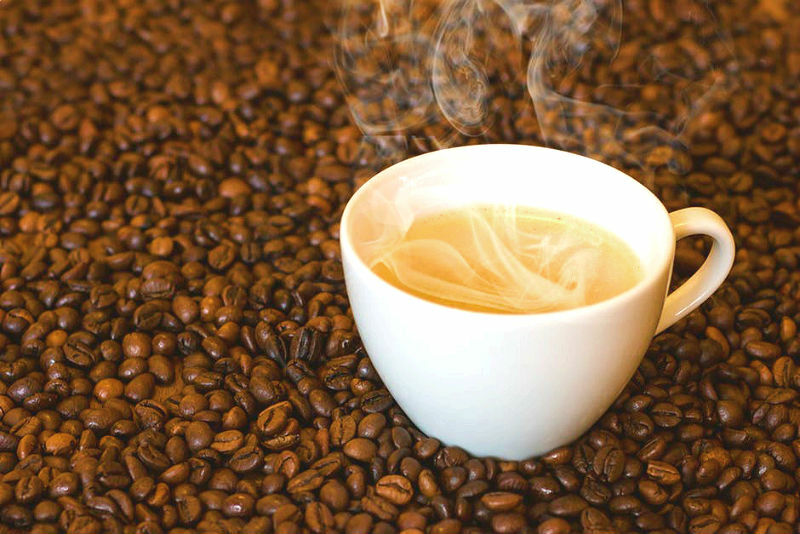 Blog What Are the Coffee Trends to Rule this 2019? 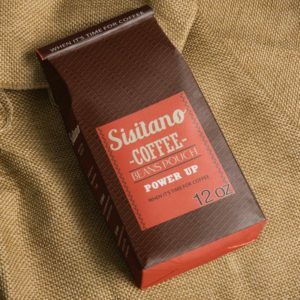 What Are the Coffee Trends to Rule this 2019? We’ve gathered a list of new Coffee Trends to Rule this 2019 and dominate your cup. All over the world, there is a love for coffee. And yearly Coffee Trends are what baristas anticipates every year. When you wake up in the morning, part of your routine is to drink coffee. This popular beverage satisfies a lot of people whether hot or cold. When people have begun experimenting with new flavors of coffee, it only increases the craze. Both old and young generations love to drink coffee. In fact, coffee drinkers today start as young as 13 to 18 years old. 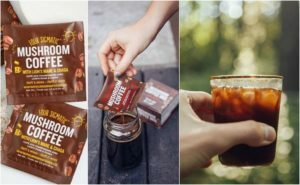 Due to the rapid popularity of coffee, the industry is continuously creating new coffee drinks that will appeal to a wide range of demographics. And baristas are creating different coffee recipe. Also, young people like to experiment on their coffee. Just like combining Coffee and Alcohol. We made a list of 2019 Coffee Trends based on surveys and experts. 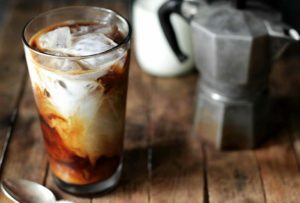 What are the Coffee Trends this year 2019? Process of cold brewing is done by infusing coffee with cold water for long hours to reduce its bitterness and acidity. It is not the same with an iced coffee that is somewhat bitter to the taste. Cold brewing creates a smoother flavor compared to regular coffee thanks to its greater oxidization. The process of cold brewing does not expose coffee to heat. Instead, it uses the time to extract the caffeine, sugar, and oil of coffee that can reach up to 24 hours. The cold water utilizes a lower extraction rate, which produces a natural sweetness and aromatic flavor. Compared to some other brewing methods, cold brew is a much sweeter version. So, Cascaras are the red coffee cherries of the coffee fruit. These red fruits are now hitting the coffee industry by storm. There are cascara flour and teas, which made a lot of health consumers happy. While the cascaras are often thrown in the trash can, people now can see their benefits. Cascaras are rich in fiber, iron, protein, and antioxidants. It is no surprise that many leading coffee chains in the world serve cascara to their customers. The process of nitro coffee produces a great infusion of texture and taste. 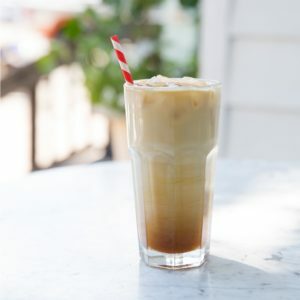 When you drink it, you will get a velvety, foamy, and sweet taste compared to a regular iced coffee. 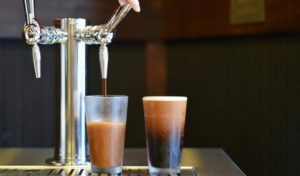 Nitro coffee is generally kept in a pressurised keg, wherein you can pour from a tap. This nitro coffee drink infuses coffee with nitrogen gas. The result you get is a good carbonation with creamy and rich texture. Another benefit of this beverage is that it is quite strong. So, many companies make nitro coffee portable and more accessible to coffee drinkers, by selling it in cans. This coffee brewing method is quite simple, in which a filter paper gives clarity to the beverage. The outcome you see and taste is smooth citrus notes. 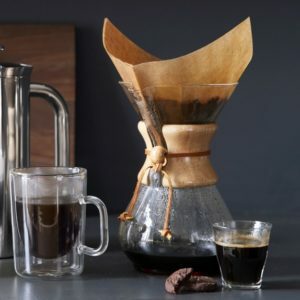 The chemex is a solid glass curved coffee maker that comes with a paper filter that is normally used to pour over coffee. While Chemex has already made an appearance in the 1940s, expect it to rule in 2019. When making Chemex, the coffee should be a medium grind. Use a good burr grinder when grinding coffee. The taste you experience is special, just make sure that you adjust the grind size. The Chemex brewer makes a great cup of coffee due to its filters. The result you get is a strong but not a bitter coffee. The smell is nice and the flavor is smooth with low acid. Another food that will make a special appearance in many cups of coffee is the mushroom. Coffee shops are starting to gain popularity this year and will continue to soar in 2019. Mushroom coffee can be a healthy way to start your day or end your day at night. This beverage comes with an immunity punch, which helps boost energy, improves brain power, and indigestion. Mushrooms definitely have a place in the coffee industry. If you want to introduce this fungus to other people, or your customers if you have a coffee shop, you can try tasting events first. The trend of Frappuccino is not yet over for 2019. 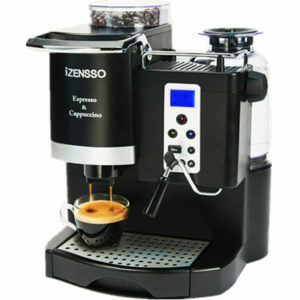 Coffee makers and retailers have the young generations in mind by creating creamier and sweeter coffee drinks. With this, the black coffee acidity takes a back step from the center stage. Sure, many coffee enthusiasts, especially the older generations, like the taste of bitter black coffee. But, the younger ones opt for the creamier and sweeter drinks. Coffee shops today are satisfying this need by creating a wide range of sweet coffee beverages, for example, coffee shakes. While major coffee chains first adopted the concept of coffee shakes, many small bistros and cafes are now also offering them. Flavored carbonated water has become popular in recent years. In 2019, this bubbly trend will appear in your coffee. This bubbly brew has a great combination of espresso and tonic water. If you think this combination is a bit weird, just consider bubbles as a wonderful thing in your coffee. If you do not like cherries, it is possible to garnish your beverage with mint leaves, rosemary, or lemon juice. Many people today are constantly on-the-go. But, even their busy schedule cannot take away their cravings for coffee. Thanks to ready-to-drink coffee, which they can easily carry around, they have the perfect solution. 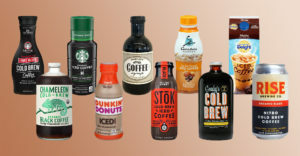 You can find these beverages in pre-made coffee bottles. They are also found in cold brew or frappuccinos.Considering they are in the form of bottles, they are quite portable and accessible. Convenience stores and gas stations offer them to all their customers. Also, these ready-to-drink beverages are appetizing and sweet, simply perfect for those who do not like the bitterness of coffee. Now, that’s a wrap for the Coffee Trends to Rule this 2019. Feel free to create your own recipe with a twist out of these most loved coffee this year 2019. 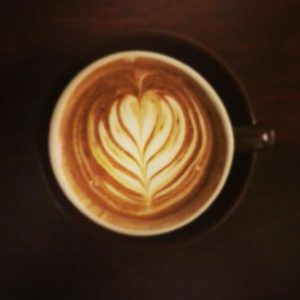 Don’t forget to get feedback from your buddies to test the their overall coffee experience. 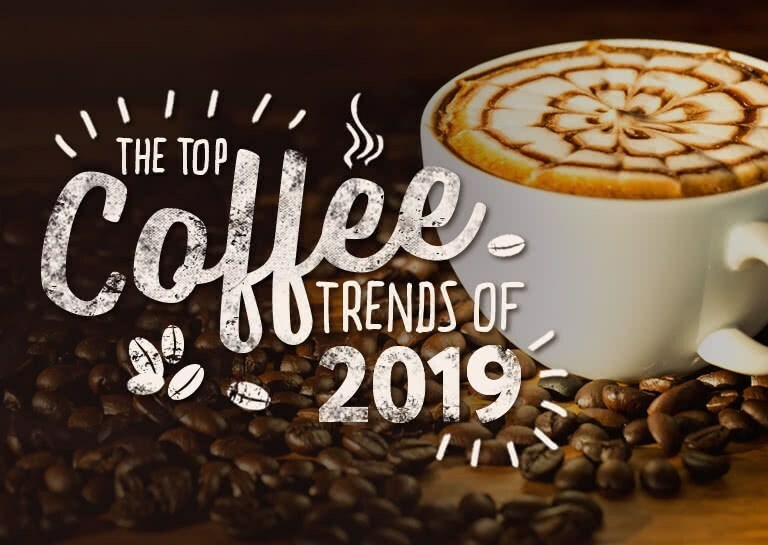 We hope that our list for Coffee Trends to Rule this 2019 gave you ideas. Hence, Coffee trends every year is changing. 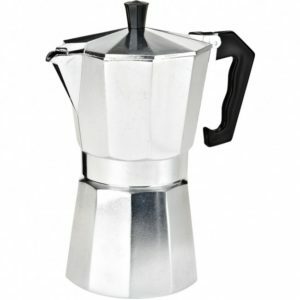 But, espresso has dependably been the favored hot refreshment by everybody. Except it appears in 2018, that others have chosen to explore distinctive flavors and taste, and to take their espresso drinking propensities a dimension further. It is also important to know the different types of coffee. While the customary coffee and Starbucks purchased espresso will most likely remain a best decision for the lion’s share. These appear to be the espresso inclines that have vanquished 2018, giving espresso darlings a touch of assortment. So this coffee trends 2019 should give you a kickstart. On the other hand, if you haven’t tried these yet, it’s unquestionably the time to do it now. Speaking of Coffee Trends to Rule this 2019. Have you heard about another trend, a sunglass and eyewear made out of coffee? Read more about it here.